The Roller Bolt is operated by a door knob or lever handle from either side. 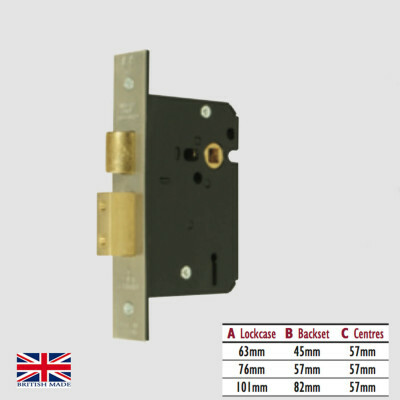 High quality 5 Lever Mortice Roller Bolt Sashlock, manufactured in the UK. CE Marked and BS EN 1634 approved. 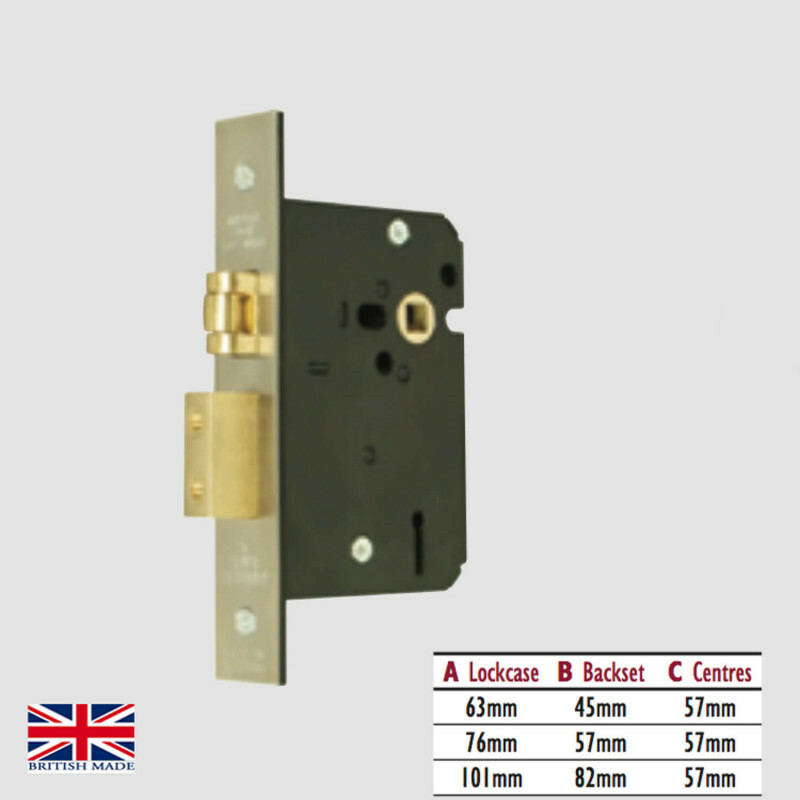 63mm and 76mm lockcase is best suited for Lever Handles. 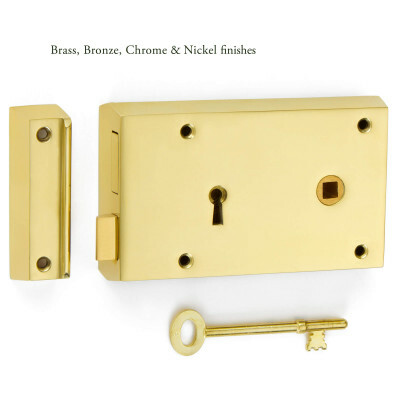 The vast majority of Lever Handles are 'Sprung', but please do check before ordering. If you are unable to find out we would recommend using the Heavy Sprung to ensure the lever does not droop. 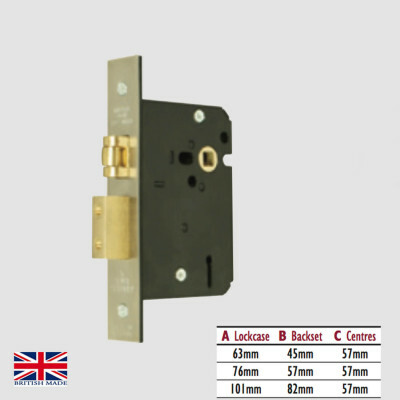 101mm lockcase is for Door Knobs. 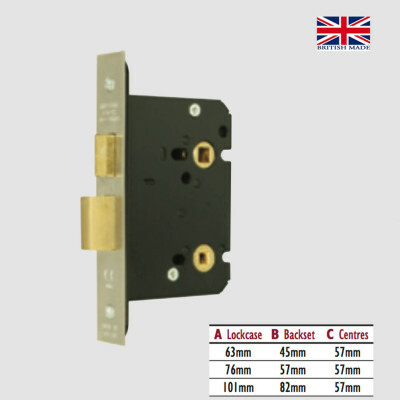 A backset of at least 75mm is needed to allow the door knob to turn properly and prevent you from catching your hand on the doorframe.